Les Georgettes has every reason to be popping open the champagne and celebrating a year well done because 2017 was a great success for the brand. Launching in the UK just over 12 months ago, Les Georgettes had a goal to open 100 accounts in its first year. After just two months, this target was attained. 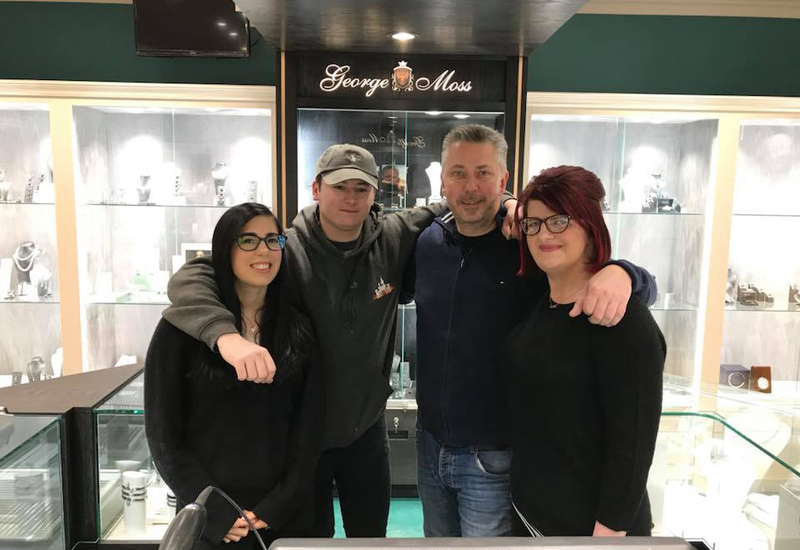 Hitting the ground running, by the end of 2017 Les Georgettes was present in over 200 stores nationwide, including Silver Tree Jewellery, Strange the Jewellers, Fabulous, TH Baker and John Pass Jewellers. Furthermore, globally it had sold 500,000 bracelets, 100,000 rings and one million leather bands all before the lucrative Christmas trading period. 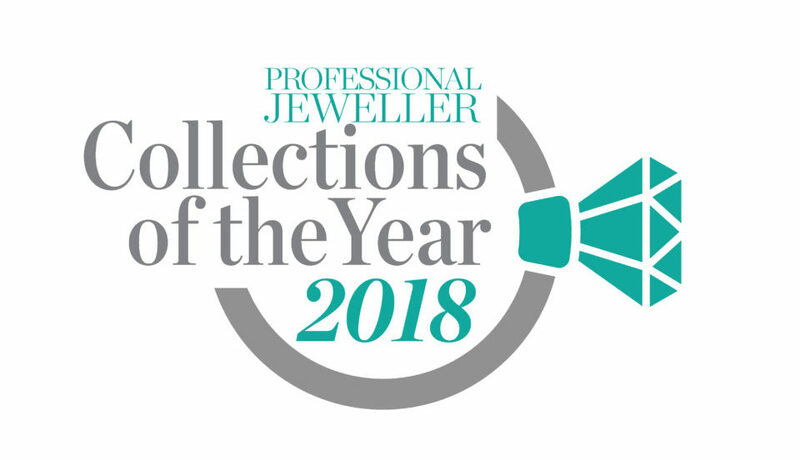 When it came to Professional Jeweller’s Collections of the Year initiative, Les Georgettes received strong backing from its stockists, with retailers writing in to tell us how the brand has been dominating sales. At industry trade events, Les Georgettes scooped accolades for visual brilliance, with it stands representing the colourful displays it has to offer retailers. Looking ahead, the brand shows no signs of slowing down in the UK, or across the globe in the countries it is stocked. In fact, 2018 is set to be bigger and better as the brand plans to partner with more retailers, open its very first concept store, and tap into the children’s and men’s jewellery markets. Here, vice president Frederic Brunel Acquaviva, reveals all about championing the UK, growing internationally and expanding in the leather goods market. Professional Jeweller: Congratulations on your successful first year in the UK, did you anticipate the brand would be so triumphant here? 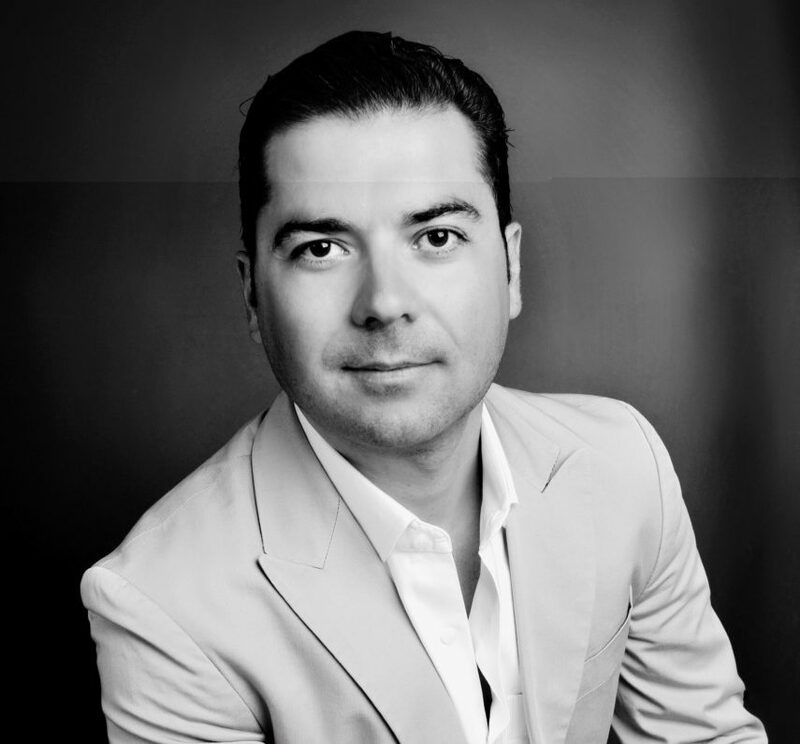 Frederic Brunel Acquaviva: Actually, we did not do any market research on the specific market in the UK however, after we made the launch to the French market in 2015, we realised that Les Georgettes as a concept was really unique worldwide, and providing a solution to the retailer as well as to the end consumer. Retailers worldwide are struggling with in store traffic, they are struggling to differentiate and have different visual merchandising, most of the time their showcase lacks colour, and we have noticed as well that they need to create a shopping experience to the end consumer by having real and true storytelling. They also need to differentiate themselves from online businesses, which are very aggressive when it comes to promotion, so the way for them to compete with ecommerce without following the same aggressive promotion is to work on having a more creative, unique and emotional message to the end consumer, making the customer have a real good shopping experience and coming back more often. Also, when I said it was a solution to the end consumer, this is affordable luxury accessories, made in France, with very high end quality standards, and it’s at a price which consumers can afford for themselves or to gift someone. With the customisation they can express a sense of creativity by mixing and matching different designs and colours, and in the end create a unique finished product to be worn. It makes it very special and very unique, because it’s hard to have two women wearing the same product at the same time. PJ: How do you help jewellery retailers stocking Les Georgettes? FB: It’s very easy for a retailer to start with us, because the opening start order package is less than £1,500. However, we are giving them all the push in order to make sure they have a very high sell out performance, and very quickly. So most of the retailers that we are dealing with, within two weeks they are selling within 30-50% of the first opening order. To help, we offer intensive training to any sales and marketing people who are on the road promoting the Les Georgettes brand. Two times a year they come to our HQ in Paris, and visit our factory which is based in the South of France. They then meet the team doing product development and design, as well as merchandising. They get training on how to merchandise our product to the retailer – story telling as well and the emotional message – because giving this information to the retail staff gives them the opportunity to share the sentiment to the end consumer. We are very much into creating certain visibility as well, and making everyone have the feeling that they are very pleased and very happy to have the opportunity to create a unique product. PJ: What have you noticed about the UK jewellery market? FB: The market in general in the UK, for 2017, was a big challenge for the retail industry. Brexit didn’t help, and the Brexit negotiations didn’t help anyone get confidence for what is going on in the UK, and the brick and mortar retail industry is also suffering because of some of the consequences. But for us, it was the right time to launch. Any time there is a crisis, or any time there is a down in the economy, there is an opportunity. However, in order to catch this opportunity, you need to be creating and being very innovative to provide the market with something completely new and completely different. And the UK market has been very well responsive on the innovation and the creative that we have provided as Les Georgettes during this challenging economic time. Can you imagine, by investing £1,500 to start a retailer can generate around £15-£20K self revenue. Which is a very good performance. We are providing retailers with customised showcases, as well as shop in shops, and we definitely want to increase brand exposure inside the retail stores and we want to work with selected retailers to do that. I would much prefer to work with 400-500 retailers in the UK and look after each of them, then going with 1,000 retailers and not having the time to provide the best service. PJ: What are your plans for the next 12 months for the brand — specifically in the United Kingdom? FB: The benchmark in the UK will be to achieve around 400 points of sales by the end of 2018. And, as I mentioned, we will be wanting retailers to start building a stronger Les Georgettes presence in store thanks to fixtures and shop in shops. We have some shop in shops, we already have quite a lot in France, as well as in Asia, and we are working on a project to open a monogram Les Georgettes boutique. We plan to open our first concept store by the end of 2018. PJ: Last year you announced the brand will be focusing on a 360 degree business plan, could you expand on this? FB: Yes, Les Georgettes will be becoming a complete lifestyle personalised brand. We have two main categories at the moment — one is jewellery and the other one is leather goods and accessories. On the jewellery side we are looking to introduce a complete range of products for women from 25-65 years old. Rings, necklaces, earrings — and we plan as well to launch a watch collection by Fall 2018. Then we are also developing a jewellery range for kids from 8 to 14 years, and we will also be introducing a range for men this year. The men’s collection will be called ‘Les Georgettes for Men’ and it will be really cool, very streamlined, and we want to have the end consumer as a woman buying Les Georgettes for men as a gift as well. Talking about the leather goods and accessories, we have launched handbags in different designs and different price points, and small leather goods, and in the UK we really plan to push this product category by having a cross channel with jewellery. For some of the retailers they could sell both the jewellery and the leather goods, whereas others will need to specialise in one category. Usually these are what a woman wants the most. We don’t do shoes yet — but if we want to satisfy women 100% we need to provide jewellery, bags and shoes. The kids and men’s jewellery we are planning to launch in March — so Q1 2018. PJ: With such a vast customer base — how do you reach different target audiences? FB: When I say we have jewellery for women from 25-65, in terms of marketing, we don’t communicate in the same way and we are not doing the same channel when we want to talk to the younger generation or to the mature generation. We have our digital team in Paris — with one person from each country that we want to reach. So, for example, we have one American in Paris in charge of the US market, and one British girl based in Paris doing digital for the UK market. And they are really aggressive in terms of social media collaboration with bloggers, influencers and creating content for the retailers in order to build a very strong promotion of the brand. We also have Brigitte Macron, the French First Lady, wearing Les Georgettes product, so she is part of reaching the more mature clientele. This clientele is less influenced by the social media, they are more in to the traditional way of communication, and it’s very important to us to reach all our clientele when we are talking about marketing and investment. PJ: Is there anything else you want to add? FB: I can tell you we have a TV channel coming, a French TV channel, to create a complete programme linked to Les Georgettes, and the success, and the manufacturing process in France. It will be on the equivalent of the BBC and they want to share our story. TOP FIVE: How can retailers engage with the local community to drive consumer loyalty?